Marika is helping Bioregional expand and develop an education program to engage youth in schools. She is currently working on a One Planet Schools programme in California. Marika graduated from the University of St Andrews in Scotland with degree in Sustainable Development. 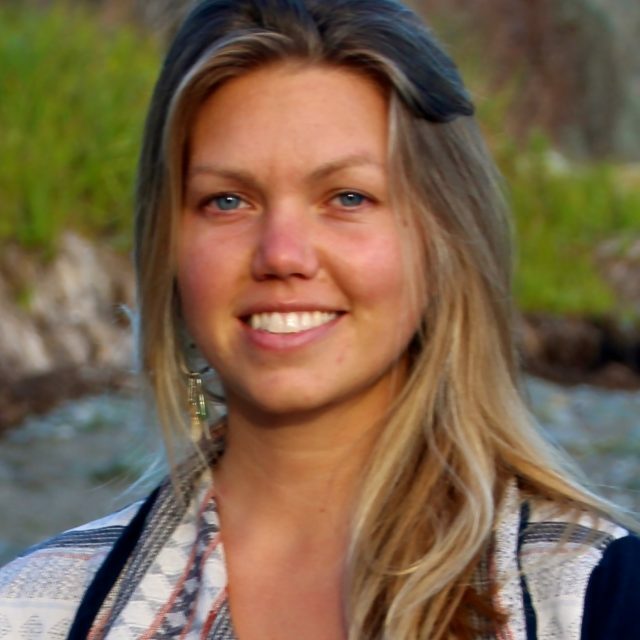 She has since trained as a mindfulness practitioner, an environmental educator and has developed sustainability workshops and biomimicry curriculum. In 2012 she cycled across the UK to learn about sustainability in schools (project cycling4SEEd) and more recently, she co-founded Schools of Sustainability which toured the Californian coastline by bike, visiting schools, running sustainability/filmmaking workshops and asking students to tell their school’s story of sustainability. These two projects have given Marika insight into the challenges school communities face in educating their students for a rapidly changing world. She has collected many stories of inspiration and success that meet these challenges with a refreshing direction of innovative optimism. Her passion lies in coming up with new ideas to make the world a better place and building the connections needed to make those ideas happen. When Marika is not on a school campus, you’ll find her biking in the forests, hiking in the mountains or catching waves in the ocean.